The maximum particle dia meter must less than 30 μm. The minimum supply pressure is 2 Bar. The maximum supply pressure is 8 Bar. Pneumatic Actuated Flange Butterfly Valve is consisted of rubber sealing butterfly valve and carbon steel,or stainless disc,stem. Its suitable temperature is ≤120°c. It is widely used in the pipelines of light textile,papermaking,foodstuff,medicine,chemical,petroleum, electricity,etc to regulate flow and cut off the media. Actuated operation: For complex control systems or projects, the valves are requiring the automatic control. We also provide the actuated operation option such as electric motor actuator or pneumatic actuator. 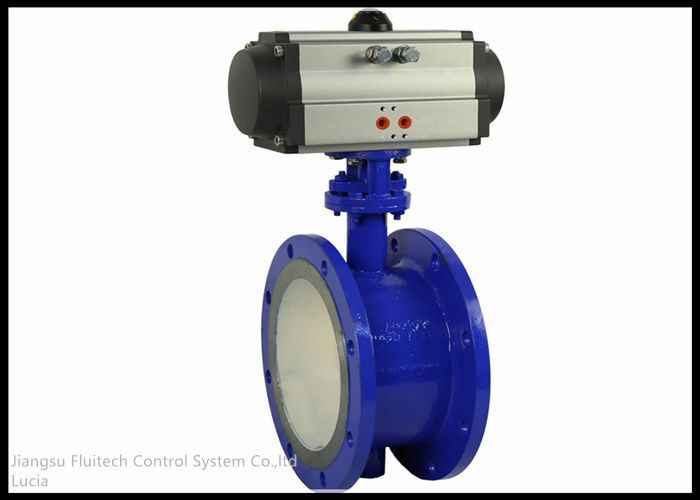 The connection for the actuator and valves is according to ISO5211 standard. 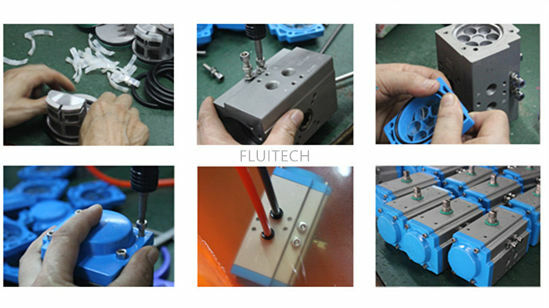 Due to the application requirement for the valves, we have many different options of the actuator for you to choose. Please contact us or send us an inquiry for more details.